As a frequent contributor to Atlanta PBS I received an email way back in November inviting me to pledge for a M&G ticket to this show. With my work schedule for the last several months continuing well into the new year the fact that it was a Sunday show made the decision easy. As the time got closer, though, it became clear that I would not be able to drive down and use Monday as a travel day back. The only option was to fly and since it was a matinee I was able to fly down in the morning and back in the evening. It made for a very long day but it was totally worth it. My flight was at 8:43am which meant leaving the house no later than 6am, which meant getting up around 5am in order to have time to get ready and have a quick breakfast. As the day got closer I suddenly realized that March 12 was the day we “spring forward” which changed my wake time to 4am body time. Argh! Another option was to drive to Baltimore Saturday evening and stay overnight near the airport. I checked my accounts with several hotels and discovered I had enough points to stay at the Hampton for free. Sleep problem solved! I breezed through security and we pushed off about 5 minutes early. We cruised at only 24,000 feet and made good time, arriving almost 15 minutes early. A quick trip on the shuttle got me and my rental car on the road in plenty of time. After I negotiated the bottleneck through downtown and switched to I-75 what to my wondering eyes should appear but a Steak 'n Shake sign. Of course, it was just past the exit so I had to continue north a couple of miles and double back but it was totally worth it and an unexpected bonus. I arrived at the venue just in time to meet up with Dwight, Daniel, and Gerald and his parents. They wouldn't let us in right away so we chatted outside in the cold for a while. Instead of the Fox downtown, today's show was at the relatively new Cobb Energy Center. Looking for all the world like an arena from the outside it is actually quite an impressive theater. Once inside we looked for the PBS area to pick up our M&G passes. They hadn't arrived yet so I visited the Merch Dude at his table for a while. There isn't much merchandise available this year: a new program, some of the more recent CDs and DVDs, several shirts, and a few knicknacks; there are no individual artist CDs anymore. By the way, the program has regained some thickness; it had been a getting a little scrawnier on the last few tours. In addition to the photos of the girls, the song list has been expanded to four pages and includes a little background on each song. After getting a program I adjourned to the restroom to put my tie on for the M&G. By now PBS had arrived and I got my passes. I had pledged for a pair and decided to keep them both in order to get a little extra time for a special presentation. The PBS representative remembered most of us from the Christmas show in Atlanta back in December. We were escorted backstage through a labyrinth of corriders until we arrived at a very nice room. There were less than 20 of us and there was plenty of room for us to be comfortable while we waited. 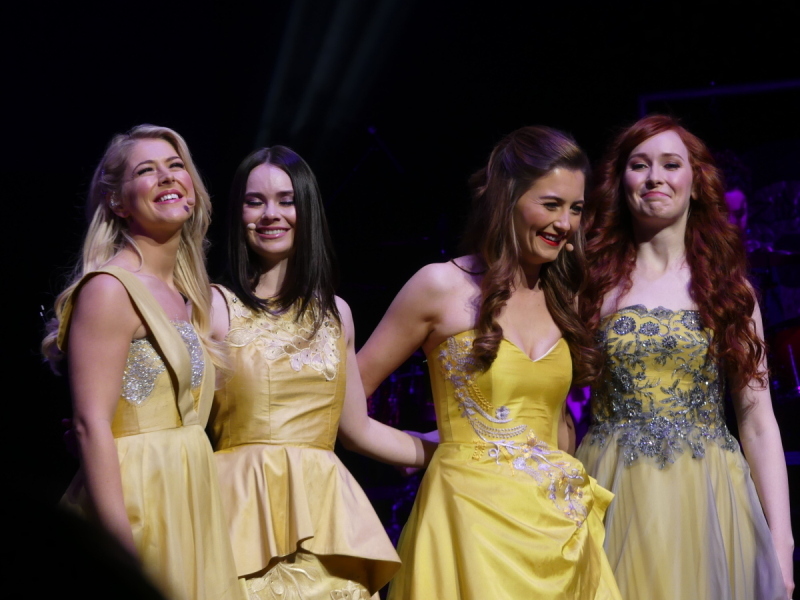 After about 15 minutes the girls arrived in their new first act gowns to a round of applause. In a refreshing change of pace, Sett (who is still tour manager) was not rushing people at all. The girls were happily sharing hugs with those they knew. Dwight had a stuffed puppy for each of them and had plenty of time to give each one out individually. When my turn came I got hugs from everyone and had a little chat with of each before getting my group photo. I had forewarned Sett that I had a double M&G so I then explained to Tara that I had a special gift for her. I reached into my bag and pulled out one of my last Fiddler Crossing signs. She, of course, immediately recognized the image and broke into a big smile. Even though autographs are officially not permitted I explained that I have a tradition of getting an autographed sign for my collection for everyone given. I looked at Sett and he nodded his approval. After that I got a solo photo with Tara and her new sign. It was very pleasant meeting and I hope it sets the tone for the rest of the tour. We were then escorted back through the maze to our seats. Our tickets said row A but there was a 6-row pit in front of us so we were not very close. It wasn't a big deal to most of us because we will have other shows to be up front. I had asked a venue manager earlier what the photo policy was and got confirmation that non-flash photography would be permitted so I used the empty seat next to me as a place to keep my camera readily at hand so I could keep my lap free for taking notes. As with previous tours the stage is rather unimpressive. There are the two traditional drum risers on each side along with several shallow platforms in the center with steps to allow people to easily move between different positions and heights. There is still a large multi-part video screen across the back of the stage although it is the same size across its entire width instead of extending down in the center like last year. The lateral lighting bar that they've always had across the back of the stage has been replaced by two shorter bars in a V-shape running from the front left and right to the back center. It allows for some different lighting effects. As seems to be the norm there are personnel changes on each tour. Ray Fean and Catriona Frost continue as the two primary percussionists and Anthony Byrne, of course, remains on bagpipes. 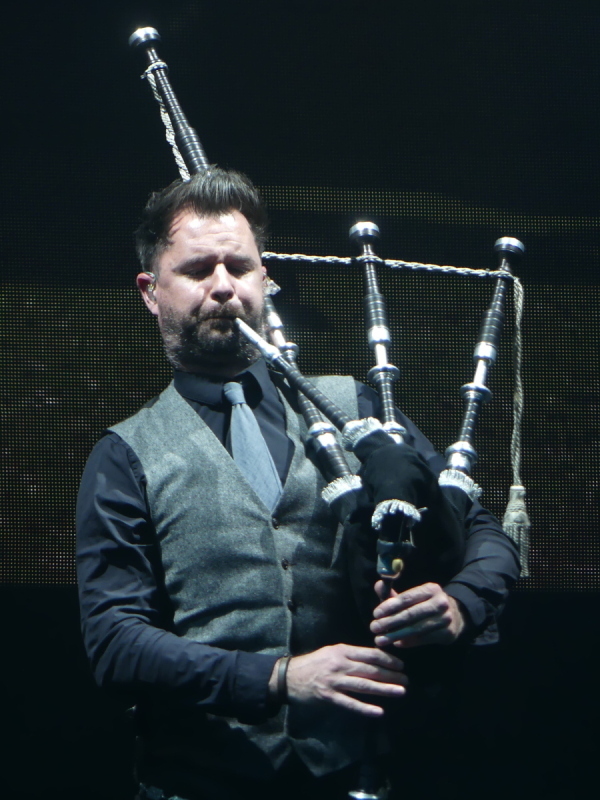 Tommy Buckley and Darragh Murphy also return on guitar and pipes, respectively, but pianist Brian McGrane has been replaced with Brian Hughes. The biggest change is the loss of Eoghan O'Neill on bass. That officially makes Ray the “last man standing” as the only original member remaining. The still all-male choir has been expanded with a fourth member, Alan McGrath, providing a second dancer to duel with Carl Maguire. Glenn Murphy and Ronan Scolard return. Promptly at 3pm the standard recorded announcement was made and shortly thereafter the lights dimmed. A low background note started the show and Ray and Catriona did a very slow bit of back and forth short percussion hits as the spotlights alternated. Darragh joined in on the Uilleann pipes and the music built to a gentle crescendo. It wasn't until a minute or two in that the melody began to be recognizable. The girls appeared and began singing Mo Ghile Mear. Like most reprised songs it was a very different arrangement, most notable in that it was sung almost entirely in English instead of Gaelic. After that the girls did a quick introduction of themselves which led into one of only a handful of new songs, My Heart Will Go On. It is a very nice group number and suits their voices quite well. MairéadC then remained on stage to sing Dúlumán. It does not open with the spoken/sung poem that Lisa used and the choreography is very different but it suits MairéadC's style and is quite nice. It includes all of the choir members on bohdrains. 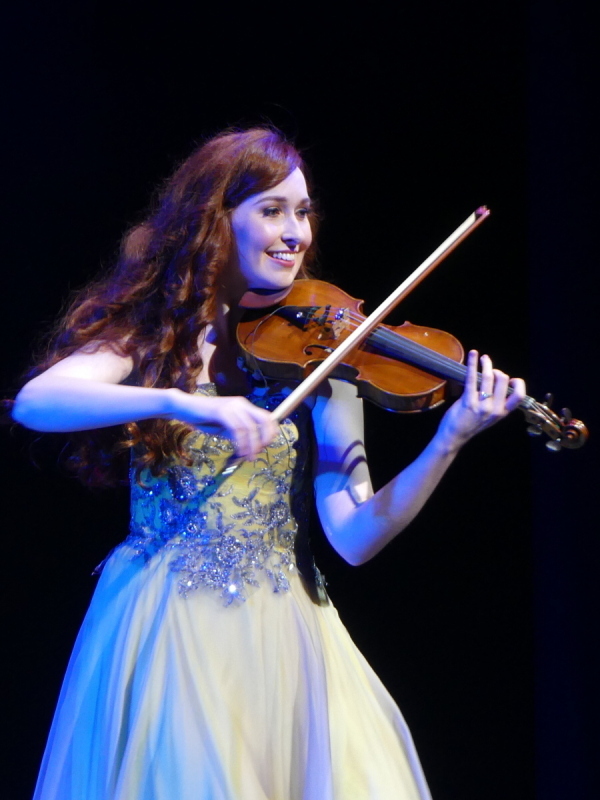 Éabha then returned and gave a lovely spoken introduction to her first solo, Isle of Hope. Her haunting voice is perfect for this song. The familiar sound of bagpipes heralded the return of another favorite, Amazing Grace. Anthony was standing almost directly above us in the second balcony and played two verses although he was not joined by Darragh playing a second set of pipes on stage. It is a very different arrangement and everyone stays on stage at the end instead of exiting as has always been done on previous tours. Tara's first solo was next. Across the World is similar to Máiréad's slow/fast numbers but there is less differentiation between the two parts, it doesn't start out as slow nor does it finish quite as fast. Tara does move around quite a bit but there is no running and only a few single spins. She is being herself and not trying to emulate her predecessor; that's a good thing. Susan returned next in a lovely powder blue ceili dress for She Moved Through the Fair. Surprisingly, she was barefoot! During the course of the song the choir members return to the stage and Susan dances with each of them in turn. The dancing is very graceful and the loosely flowing ceili dress really enhances Susan's gracefulness. It is beautifully done. Susan introduces the next piece which is the traditional, The Kesh Inn. It brought the entire band together, including Anthony on acoustic guitar, and Carl and Alan got a chance to strut their stuff. MairéadC and Éabha returned to the stage in their ceili dresses, MairéadC in pale violet and Éabha in medium blue. Tara returned as well but remained in her green gown. Danny Boy was next but with Tara on harp instead of violin. Vocally it is only slightly changed but the harp makes it sound very different. 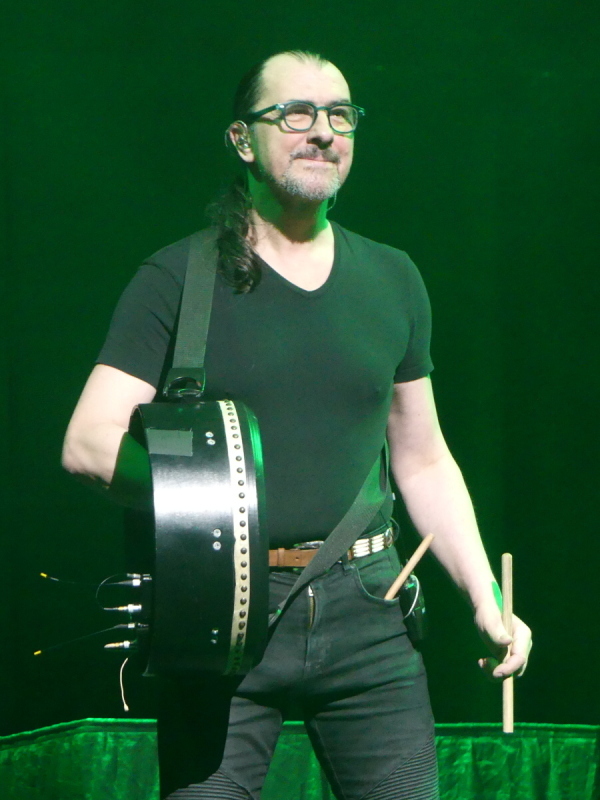 The final song in the first act was Níl Sén Lá. The arrangement is quite different than before with most of it being sung in English, including the chorus. There is less dancing but it is still quite energetic. Near the end the girls took turns introducing the band members, replacing the introductions that Máiréad used to do. And with that it was intermission. Téir Abhaile Riú was the second act opener beginning with the choir all on bohdrains, but in the audience. The arrangement is relatively unchanged from previous tours and includes MairéadC on accordion, Susan on spoons, Éabha on tin whistle, and Tara on fiddle, of course. Next up was a surprise as You Raise Me Up has been moved from the end of the show to the second song in the second act. It felt a little odd. The arrangement is a little different but not radically so. 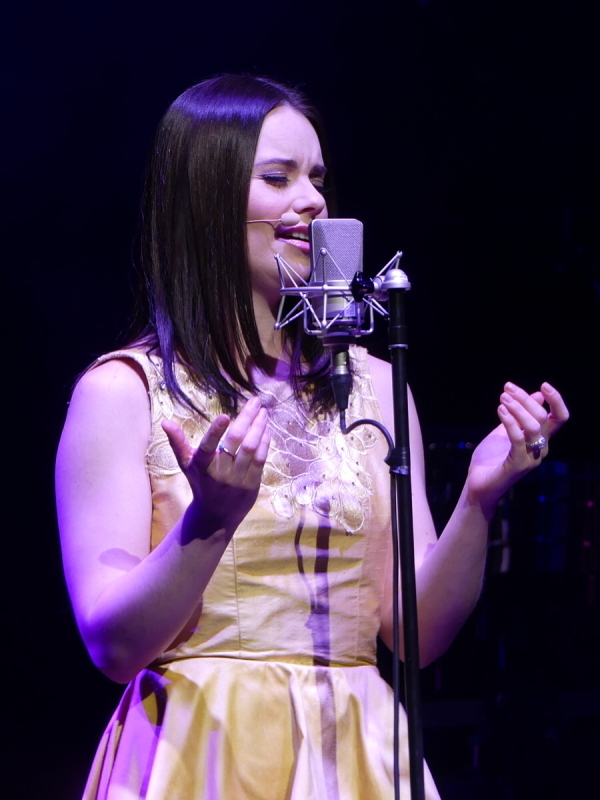 MairéadC's second solo was next as they setup a floor microphone for her version of Ave Maria. It was just her and Brian on the piano, no choir. Her operatic voice gave it a different sound than Chloë so I won't compare the two; each one stands on its own. 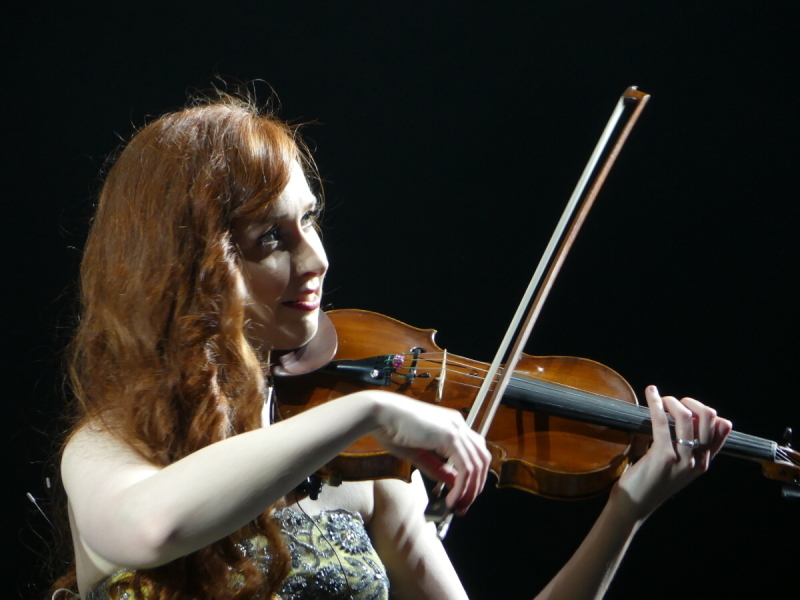 This was followed by Tara's second solo, a mesmerizing rendition of For the Love of a Princess. Scribbled in my notes is the comment “Holy crap!” and it was my only standing ovation of the evening. Westering Home was next and is virtually identical to the Destiny version. 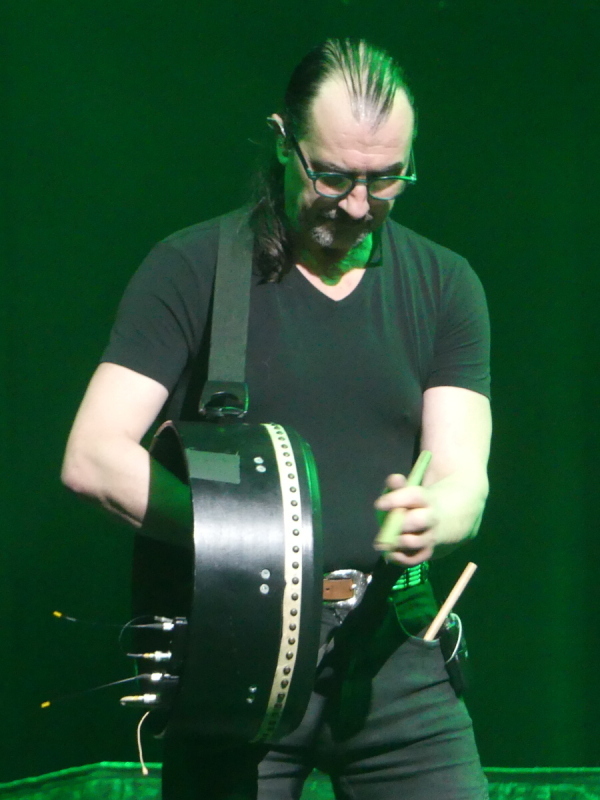 That was followed by Ray's solo which has been enhanced with tap shoes; he has a lot of fun tapping along with his drumming. After Ray finished his shtick, Catriona joined in while Carl and Alan danced. 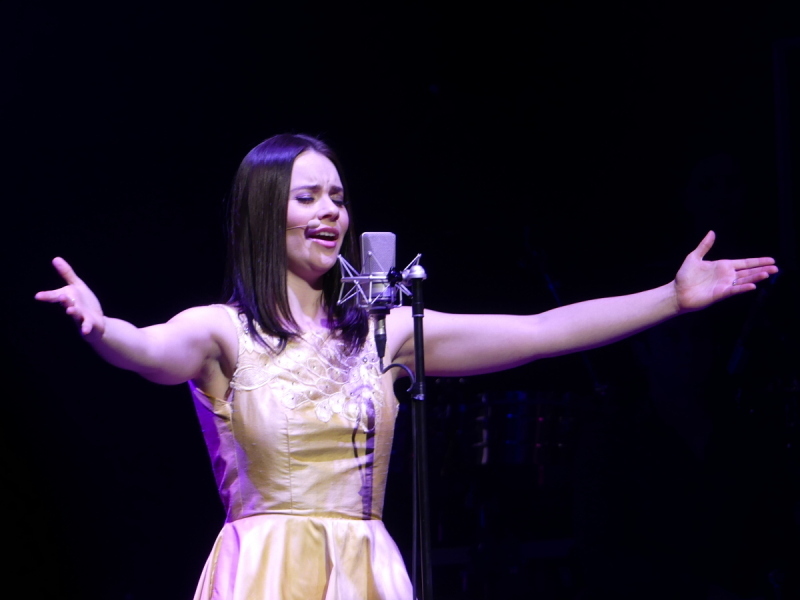 One of the songs from the 1916 tribute on the Destiny tour was next, Oró Sé Do Bheatha Bhaile, in a nearly identical vocal arrangement although the choreography was simplified. 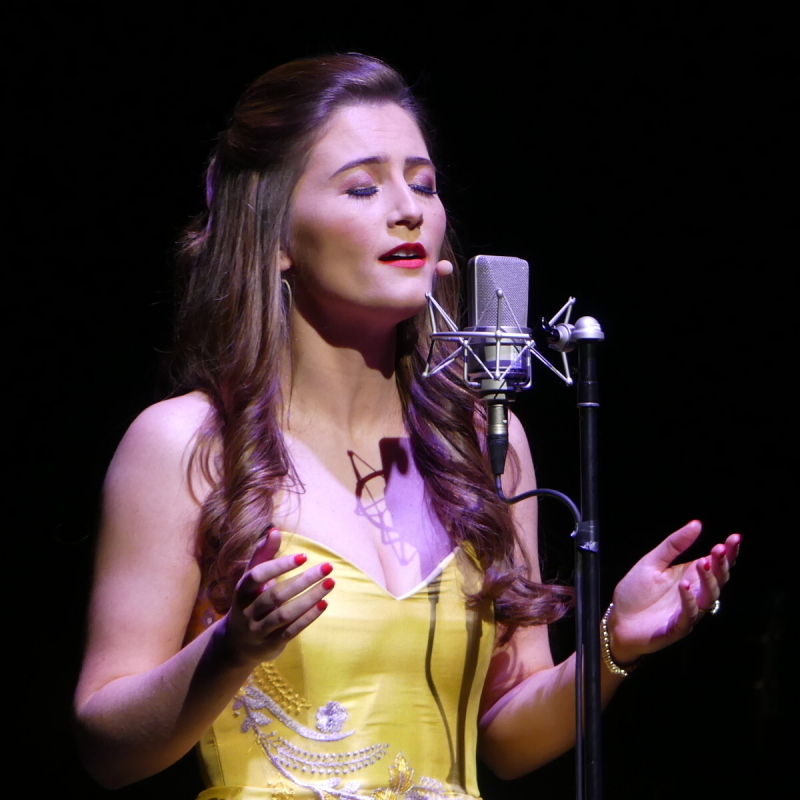 Éabha introduced her next solo by reminiscing about singing at home as a child in the Sean Nós style. She started singing alone and was gradually joined by several band members and the choir in a lovely set of traditional Gaelic songs. Susan then returned with a song that I've always had mixed feelings about when anybody but Lisa Kelly sings it. Yes, it's The Voice and I still have mixed feelings. The arrangement is changed slightly, about as much as it was changed for Alex, which isn't much. Next Tara introduced Walk Beside Me. 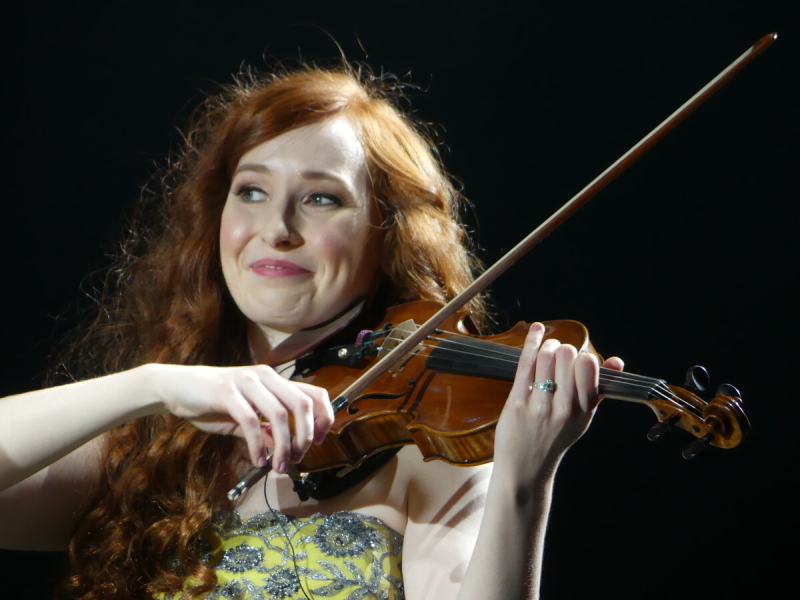 Previously this was mostly an Éabha solo with the other girls joining in only near the end. It is now a full group number and is still as beautiful as ever. Another teaser like the opener was next as Tommy began a quiet guitar solo which led into the Celtic Woman standard, Orinoco Flow. The arrangement has gotten a little simpler than before although the choir plays a slightly bigger part. MairéadC then thanked the band and introduced Time to Say Goodbye in an absolutely lovely group arrangement which brought the whole house to its feet. Eabha and the girls then said their final goodbyes which led to a new arrangement of The Parting Glass. After that the girls introduced the choir and an off-stage announcer introduced the girls. And with that it was over. No encore. This was my first time seeing the new show, and I was little distracted by taking notes, but I do have some opinions. When I first saw the set list on Facebook I was a little disappointed by the lack of new material but many of the old songs have fresh new arrangements which makes the whole show seem fresh. Most of the changes are quite nice but there are some that I am less than in love with. And there is one in particular that I, quite possibly for the first time ever, actually dislike. I won't say what that one is because I don't want to influence anyone else's opinions. I will say that Orinoco Flow definitely suffers without Eoghan on bass. Early versions of that song would actually shake the venue but that's all gone now. Like most of us The Voice belongs to Lisa Kelly (even though it was actually written for Méav) and kudo to Susan for trying to make it her own. She has the power but doesn't seem to really use it. All that being said, it is a spectacular show and well worth seeing. I'll be seeing it again in Roanoke on the 22nd and twice at my “hometown show” in Lancaster so we'll see if my opinions change. I did miss Tír na nÓg which was on the set list that I saw and is listed in the program. Maybe it will make an appearance down the road. As Always Mike. Well Done and Thank you. Thanks, Mike! Nice to get a feel for this new show and the new ensemble. I do not like the idea of songs we heard in Gaelic now being in English. It does sound like a bit of rehash. I thought the previous tour had a great deal more new material. I'm glad the M & G was not rushed, although that is a matter of perception and you tend to get less rushed than others. Not that it matters to me at this point because I don't have a M & G. I've not tried checking with RMPBS to se if they are offering one in Pueblo or if they are available if so. I'll take my chances by the buses at Red Rocks for a chance meeting with MC, and, hopefully, Tara. As usual you took some totally stellar photos that I may share on Facebook and make sure you get credit. OR, you can post them on the MC fan page. 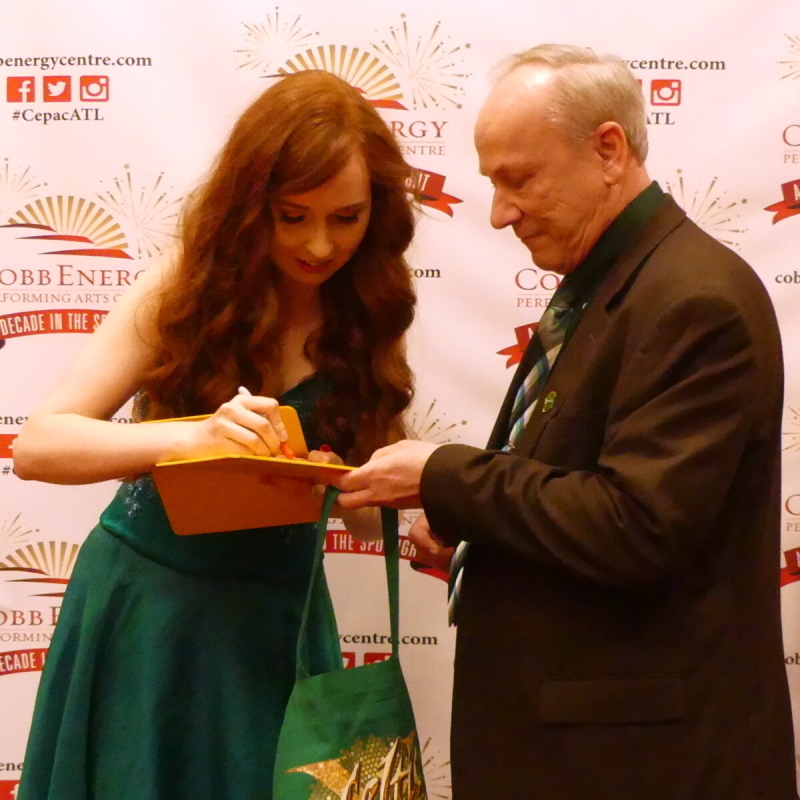 Nice that Tara is among the fiddler crossing sign holders and that you got one autographed. Figured that Eoghan might leave. Figured Ray would as well with M leaving but guess he'll tough it out one more year at least. Sad he is the last of the originals. Makes Anthony the next longest aboard having joined in 2009. Susan doing The Voice is not much of a high point for me. I liked her soft rendition with Brian on the piano of Caledonia better. MC doing Ave Maria should sound wonderful. High point vocally for me now will be Eabha. Just love her voice. Thanks for the review. See you in PTC next month, God willing. Thanks for the review, Mike. I'll be very interested to see this show for myself next month. Great pics Mike, and nice to have a review to review . I'll see you in a couple weeks hopefully they do tweak the show and surprise us down the road. Cool. Lovely review, thank you so much. We have heard nothing about a tour for Oz since it was first mentioned. Going to be incredibly disappointed if we don't see them this year. Just living on reviews and facebook posts at the moment. Mike, thanks for the review.I don't love some of the rearrangements.They seem more toned down. I do love a lot of the songs and love the girls.Look forward to seeing you in Lancaster, my home base. I had gone to the 1st and 4th shows of this years tour. For the 4th show, I took a business acquaintance. He knew "of" CW, but had never seen a show other than a PBS special. He thought it was a great show. That seems to be a comment I have heard from people who are not long time fans. I don't remember where I heard this, but someone called it CW2.0. It's different. That doesn't mean bad, just different. 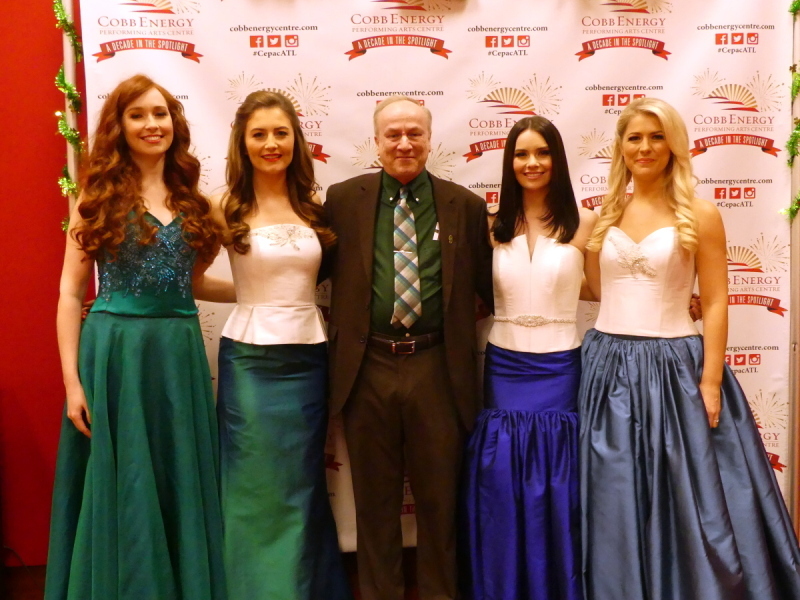 I call CW1.0 "Celtic Woman Classic." I saw the show yesterday in Binghamton, and thought it was very good. I too noticed that this year's program is thicker, thought the pictures were gorgeous, and enjoyed being able to read a brief background description of each song. Rob Wojtowicz, John Lucas and I were the only people in the M & G.
Hope to see you in Elmira in June. Thanks for the review, good as usual. Good photos too. I sadly will not be able to catch either of the 2 shows in Minnesota this year. They are later in the year than usually and during a busy month for me. I do like some of the new arrangements on the album but some of then were best left untouched. I agree that while Susan does a good job with The Voice, it will always be Lisa's song. (Though Alex did an excellent job). I do wish I could see Tara and sad to hear that Eoghan left now as well. I saw Voices of Angels in Kitchener and I get to see it again in a couple of weeks! It felt like they had a lot of variety in this show. The Kesh Inn and Eabha's Sean-Nos performance were really fun. I didn't pay much attention to what was on the video screen at the back of the stage, but it wasn't a distraction either. It is an absolute joy to see Tara perform. She's super-talented and the adorable little facial expressions she makes when she plays make her performances even more memorable. She looks like she's having a great time! I was a little worried about the new arrangement of The Parting Glass going in to the show, given how much I loved the Believe/Emerald arrangements. In the spirit of the Voices of Angels album, the new Parting Glass was very different, but it retains all of its bittersweet qualities and was still highly enjoyable.